Consistency : Typical consistency of Essential Oils. Absorbtion : Readily absorbed in skin. Grades Available : 1. FCC Grade 2. Pharmaceutical Grade 3. Food Grade 4. Cosmetic Grade 5. Raw/Unrefined 6. Refined 7. Virgin Part of Plant Used : Seeds Extraction Process : Cold Pressed ORGANOLEPTIC PROPERTIES:- Appearance :Clear fluid liquid. Colour : Pale yellow to Dark greenish brown Aroma :Strong Characteristic odour Taste : Strong Aromatic taste of Cucumber This oil was trusted to give warmness to the body and was recommended for treating ailments like rheumatism, bronchitis, indigestion, asthma, varicose veins, toothaches and cholera. It was also proved that Zanthoxylum armatum showed spasmolytic effects that make it a natural remedy for treating cardiovascular, respiratory and gastrointestinal disorders. 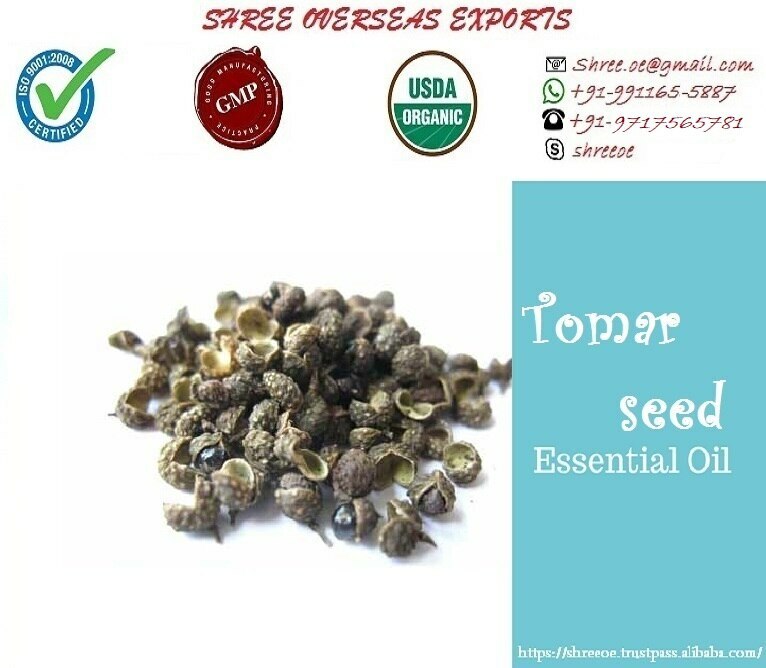 Tomar seed oil has also been used as a gentle massage oil blended with carrier oils like coconut oil to treat fibrositis, rheumatism, leg cramps, varicose veins and certain other skin problems. It is also said to stimulate the mucous membranes, lymphatic system and promote blood circulation.